Lots of love for ikat patterns over here! Ikat is a type of dye technique that is used to pattern textiles. It uses a "resist dyeing" process on the weave fibers of a textile prior to actual dyeing and weaving. It is a universal weaving style common to many cultures. 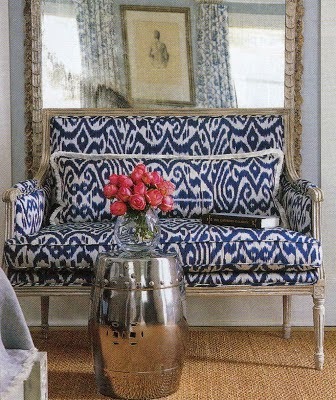 Ikat is a favorite among designers because it can add "drama" or an "exotic" flair to a given space. 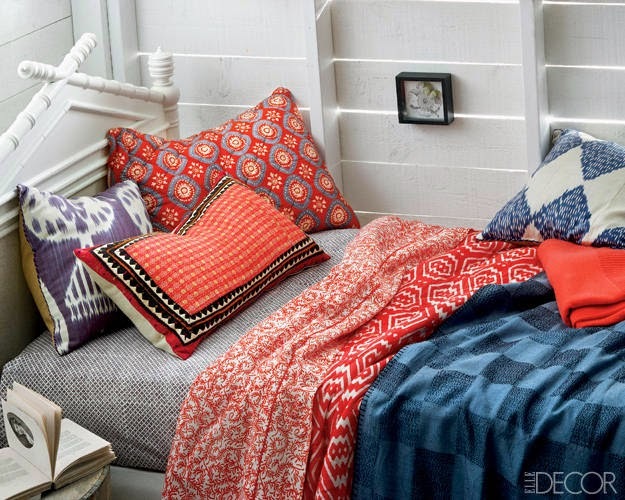 Despite its popularity, ikats are more than just a design trend. It has a long history, and is one of the oldest forms of textile decoration. 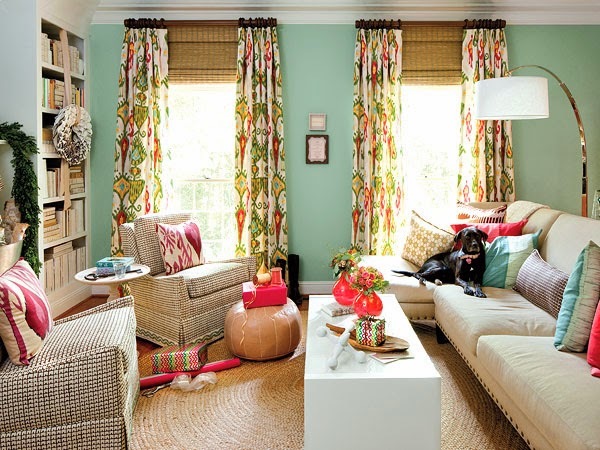 I especially love to use ikat patterns on draperies, throw pillows, ottomans, and chairs. There is so much variety in color and pattern that can be found in ikat fabrics. Any time you can incorporate fabric to soften a space, the better - especially if the fabric is full of color, pattern, texture, and dimension!